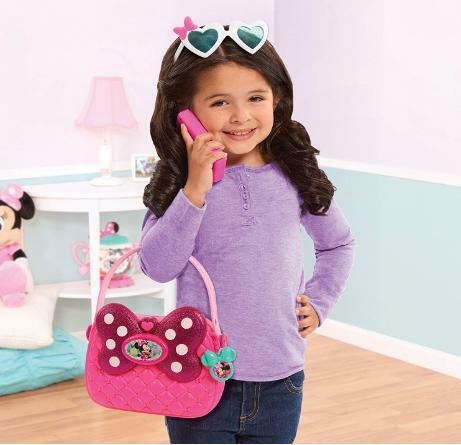 Minnie’s Happy Helpers Bag Set – Only $13.89! MINNIE happy helpers bag set has everything your little one needs to join MINNIE and Daisy on their happy helper adventures. This adorable bag set comes with a light and sounds Cell phone that reveals your next mission when you spin the dial and 8 other mission-ready accessories including a pair of heart-shaped sunglasses, a pretend passport and passport holder, a pretend boarding pass, a bracelet, and a sticker sheet. Pink bag as seen in Disney junior’ s minnie’ s happy helpers. Charms pop off minnie’ s bag and can be snapped into the bracelet for a customizable accessory.